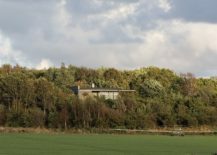 The summer resort town of Torekov in the South of Sweden is a place where many go to enjoy lovely beaches and a relaxing ambiance. 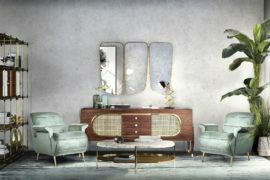 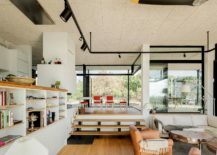 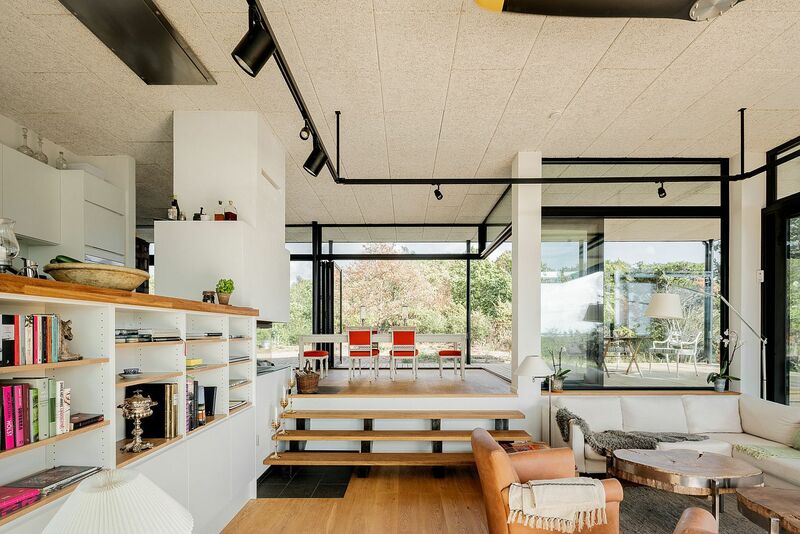 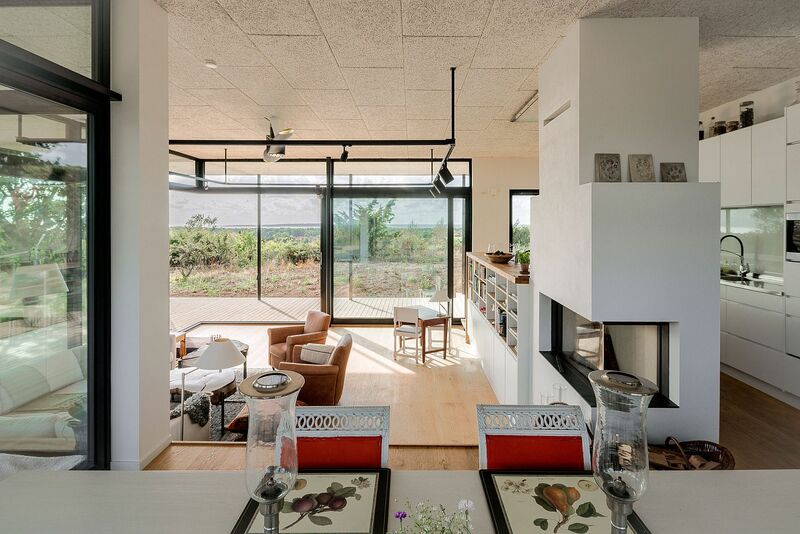 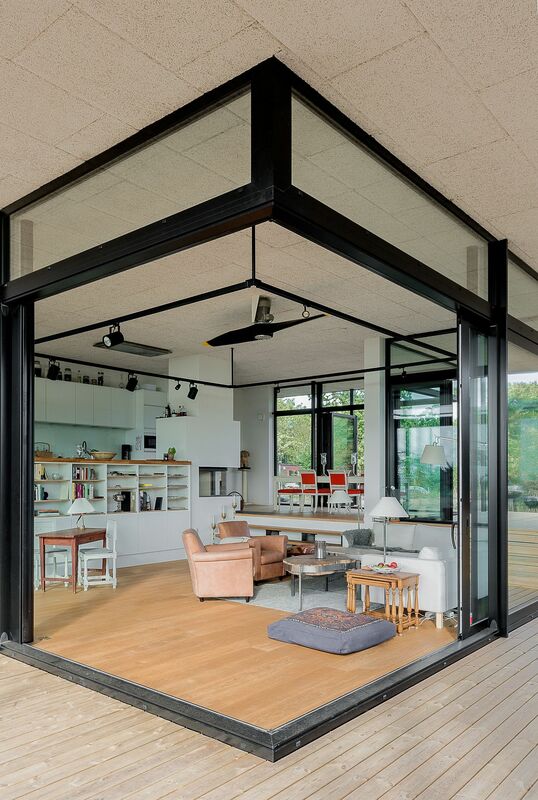 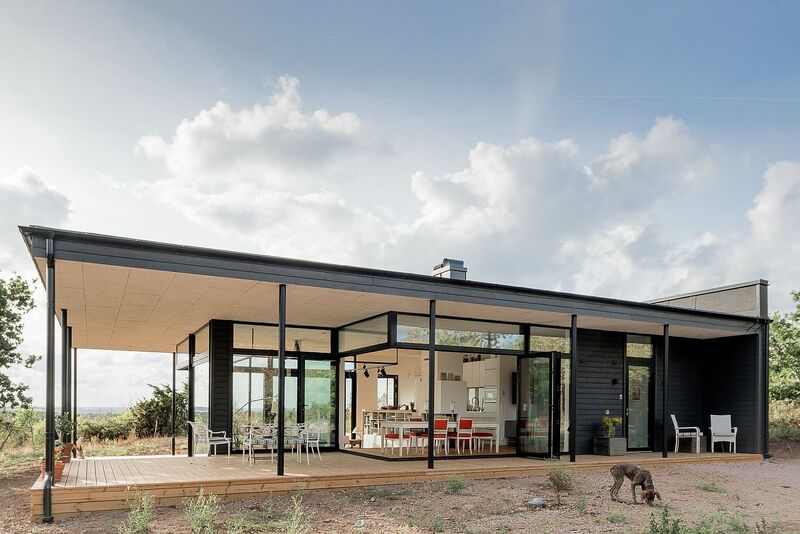 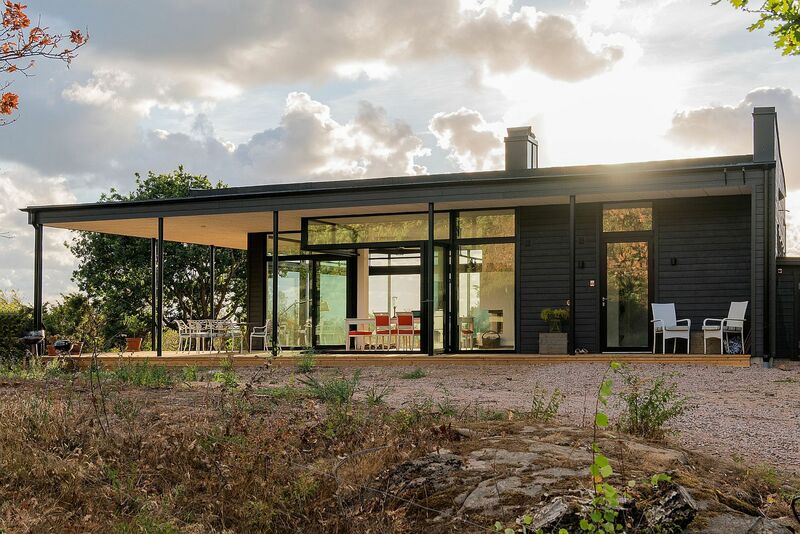 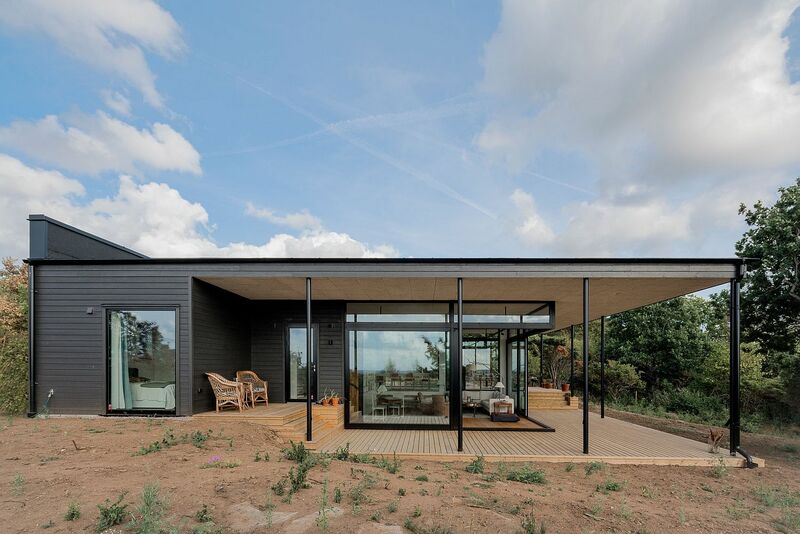 It is also the settong for the gorgeous new Torekov House – a contemporary residence designed for a family who wished to turn their summer home into a more permanent abode that would serve them all year long. 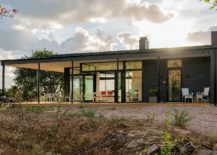 Designed by Wåhlin Arkitekter, the new residence borrows heavily from the understated style and simplicity of midcentury design by creating a structure that is light, elegant and utilizes simple, straight lines. 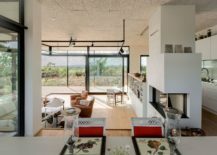 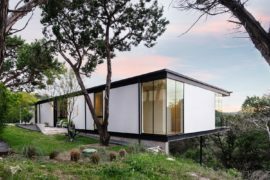 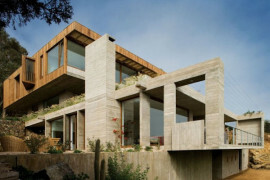 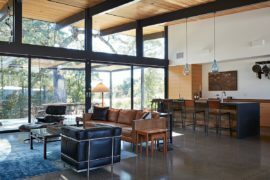 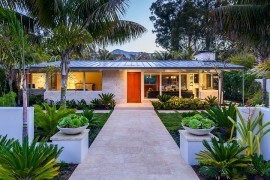 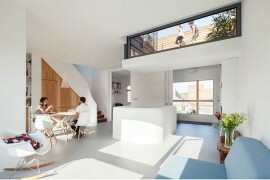 The original idea from the homeowners was to have a large, two-story contemporary home with a spacious terrace that overlooked the distant town and the scenery beyond. 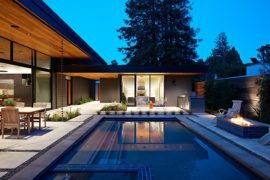 But after careful consideration, they settled on a home that had just one level and yet felt a lot more cozy, inviting and had a much small carbon footprint. 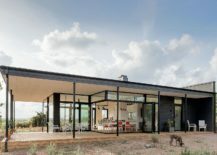 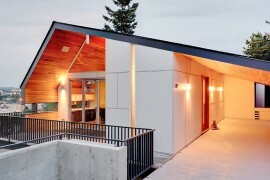 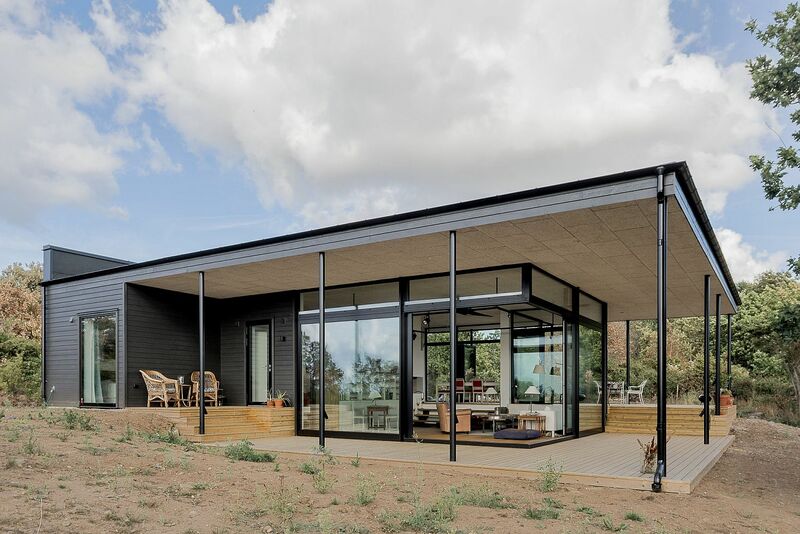 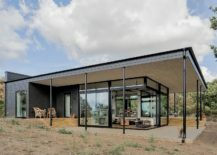 Connection with the outdoors was an essential part of the design and an extended roof form supported by slim, metal pillars and a spacious deck around the house ensure that those inside always have an excuse to step out more often! 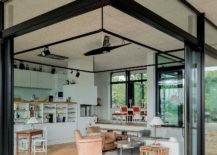 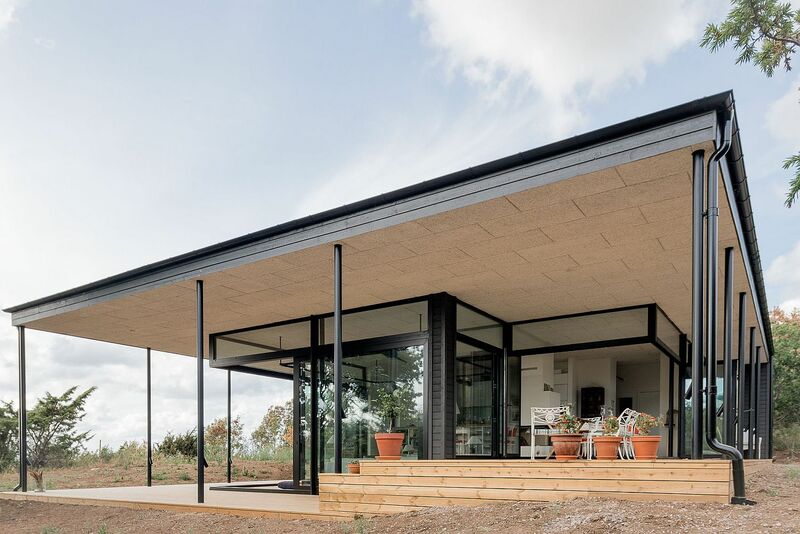 Swedes love spending time outside during the warmer parts of the year and so the roof had an important part to play in the extending the inside to the outside as seamlessly as possible. 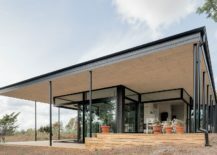 As it is stretching out over and around the different terraces surrounding the house, it is held up by slender columns symmetrically placed along the facade. 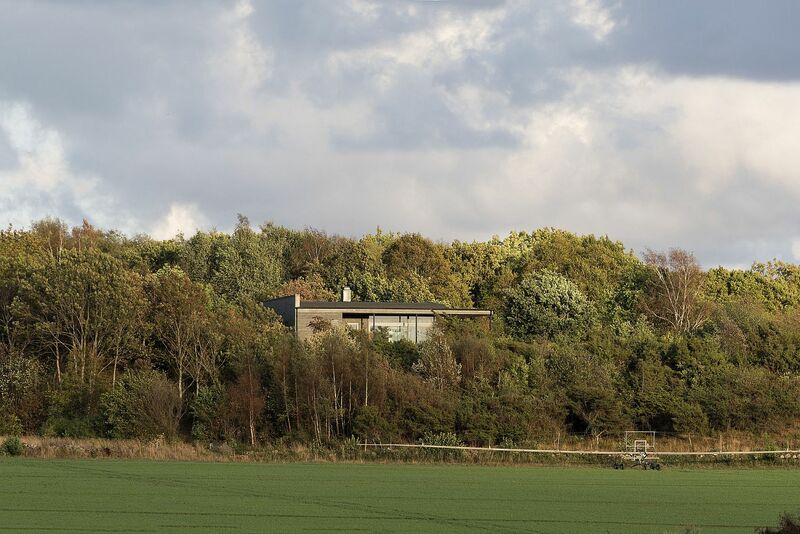 View of the Torekov House from a distance as it is engulfed in greenery!